Every now and then we get a major high-definition restoration of the complete series of an iconic TV show, many of which really helped usher in the current ‘golden age of television’. In 2013 it was “Deadwood,” 2014 it was “The Sopranos,” 2015 came “The Wire” and “The X-Files” and so on. 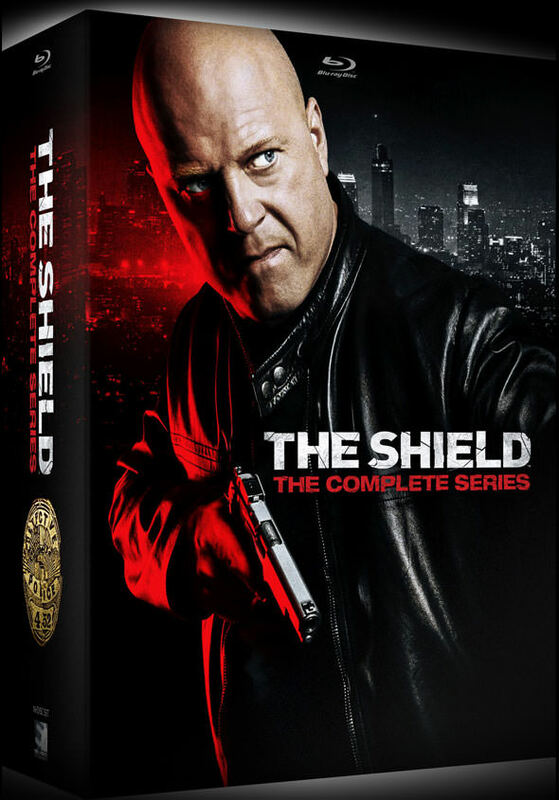 This year we get the treat of “Batman: The Animated Series” complete in Blu-ray, but it turns out there’s another box-set on the way that’s very much worth a look – Shawn Ryan and FX’s iconic corrupt cop drama “The Shield” starring Michael Chiklis as Detective Vic Mackey. Mackey runs his elite Strike Team under his own set of rules as he tries to maintain balance in the criminal ecosystem on the streets of Los Angeles. Ryan has been saying for years a major high-def restoration of “The Shield” has been in the works, and now Mill Creek Entertainment has posted on their Facebook page that work has finally been completed and the entire series will hit Blu-ray on November 6th of this year. The comprehensive Complete Series collection will reportedly include all 88 fully restored episodes in high-definition from the series’ seven season run, spread out over eighteen discs. Done with a 4k transfer and restoration from the 16mm film elements, and confirmed to be in 16:9 widescreen, the restoration keeps the intentional grit and raw texture unique to the series. Also included are bonus features such as an all-new cast reunion, writers panel featurette, and retrospective on the landmark series. Many of the cast and crew have been reassembled for these bonus features with more details coming in a few weeks. Previous article“Dark Phoenix” Gets Reshoots Next Month?